There are three loops nested at two level, first is for printing each line and inner loops for printing pattern in each line. 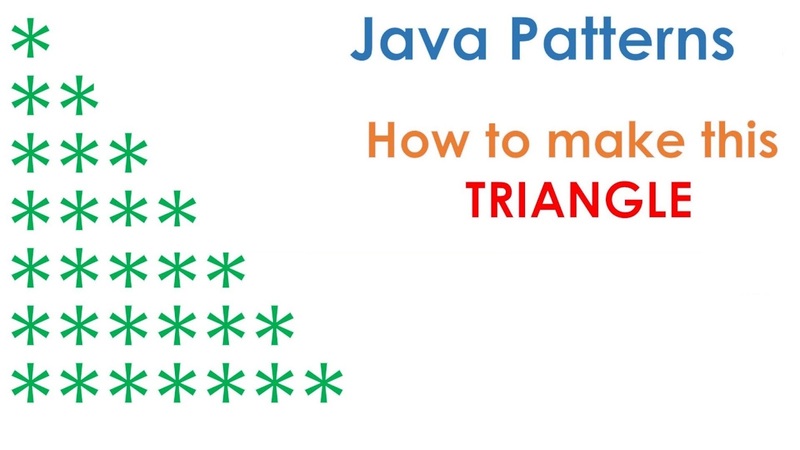 Here is our Java program to draw the pyramid pattern as shown in the problem statement. In this program, we have two examples of printing pyramid, in first we have printed pyramid of star character, while, in the second example, we have drawn a pyramid of numbers. The key here is to use both print() and println() method from PrintStream class, which is also easily accessible as System.out object. We have also used nested for loop to draw the pyramid which you will often use to solve this kind of problem. * replace the asterisk with any other character to draw a pyramid of that. * This method draws a pyramid of numbers. 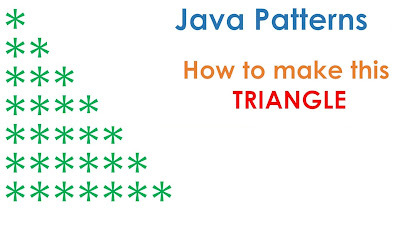 That's all about how to print Pyramid using Java pattern. You can find many pattern printing exercises in Java or C++ programming books. You can further refine this program to print any other character instead of * or you can ask the user to enter number or rows. You can even modify this program to print pyramid of numbers. - since you are starting from zero in first loop condition should be i<5 , no need of equal otherwise it will print 6 lines. I want pattern like this...Pls anyone can do this...??? while(cnt=0)----- may be it's error.....!!!....??? Hi how can you display this output? when the input is 5? Hello Javin, I am big fan of your both Javarevisited. I have been reading from years and it inspired me to create my own blog. I would like to share my latest article with you about printing patterns of numbers in Java, please have a look when you get some time. Can you write java program for this pattern. u got the answer for this? *! *- *! *- *! i want a pattern of boat ....can anyone help me...pattern should like..
when the input is 5 and using only while loop ? How to print below java pattern? hey.... How to print this output?? using for and while loop with bufferedreader? How to print this output?? How to print this output? This program to print a triangle..
Hi, here i represents row, and j represents column but what represents k? The method takes an integer argument and prints the following pattern, shown n = 4.
can anyone do this program please. hello brother and sister i just have a problem on solving this? how to print this kind of pattern i need hel guys? What will be the Program..? ?